Summit Healthcare is proud of a long-standing history of providing business continuity and integration and automation solutions for Allscripts products. Since 1999, Summit has created products and services designed to support healthcare organizations as they transition to new systems. If your hospital or organization is currently using or transitioning to an Allscripts EHR or other Allscripts systems, you will be able to fully maximize and integrate these systems with customizable and fully-supported Summit HIS products. Summit All Access – secure, fully audited data availability to everyone in your organization, or surrounding healthcare community, with convenient 24/7 access to the data through the web. Supports EHR or Network downtime. 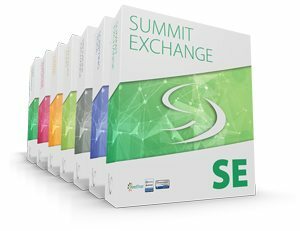 Summit Exchange – establish seamless data exchange, addressing a wide range of technology and information integration challenges from the simple to the extremely complex. Integrate with ancillary vendors, vendor monitors, physician practices, another Hospital, or an HIE. Summit Scripting Toolkit – Maximize your Allscripts products and automate your processes to best suit your workflows with the Summit Scripting Toolkit for intuitive and easy to use script development. Summit EMPI – provides for a central source of consistent patient identities and demographic data, with extended support for multiple identifiers across complex systems and ensures uniqueness of each patient’s chart.